Learn To Play At The Amazing Scottsdale Polo Party Next Weekend. 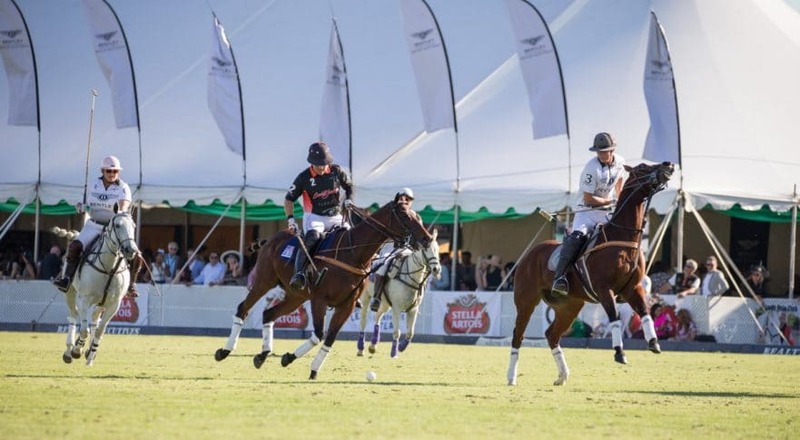 The spectacle known as the The Bentley Scottsdale Polo Championships is quickly approaching, taking place next weekend November 11-12 at WestWorld of Scottsdale. And while watching the experience is memorable why not learn to play too? Courtesy of the Arizona Polo Club you’ll get your chance this year. With any ticket purchase for Sunday you can join the Arizona Polo Club’s clinic and introduction to polo that morning, beginning at 9:30am on the polo field. Simply present your ticket for admission. Then, stay for that day’s action to watch the 11:30 a.m. “Battle of the Sexes” match to honor the greatest female polo player of all time and the final match of the weekend at 1:30 p.m. between the Wales Polo Team and St. Moritz, Switzerland. The cost of the clinic is $150 per person. You can sign-up for it at info@azpoloclub.com. All tickets, tables and tents for The Polo Party on Saturday and Sunday November 11th and 12th are now on sale at ThePoloParty.com. Some categories are now sold out so get your tickets before others are too.